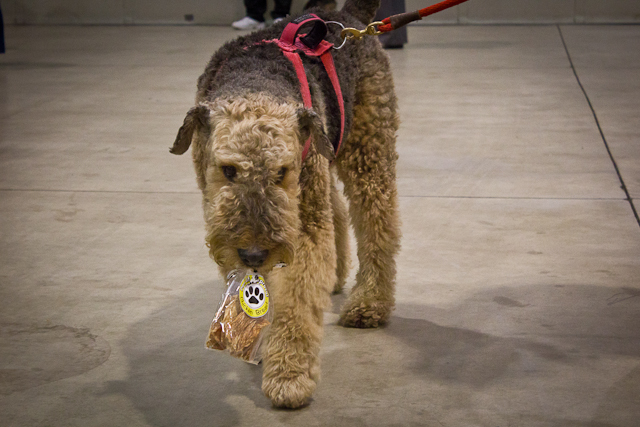 A Successful Friends of Airedales Dinner! 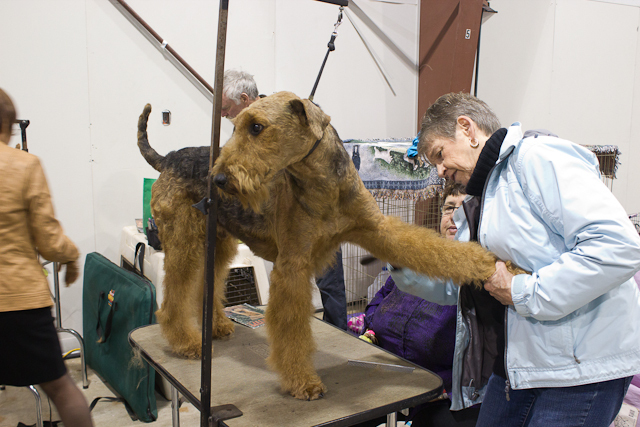 On Oct.27, the second annual Friends of Airedales dinner was held in conjunction with the Tradex dog show in Abbotsford, BC. You can see the happy diners in the photo above. A silent auction was held following the dinner. Featured were many splendid Airedale items which were snapped up very quickly. As a result over $500 was raised for AireCanada rescue. It was a great week to be a dog lover here on the west coast of Canada. 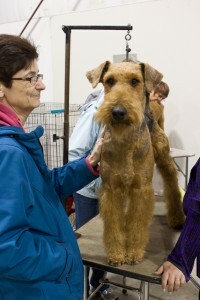 Many of the dinner guests also visited the dog show to admire the Airedales. Below you can see AireCanada volunteer, Margaret Glass, and Airedale owner, Heather Wittrock, admiring Joanne Helm’s lovely boy, Curteis. Look at that lovely leg! 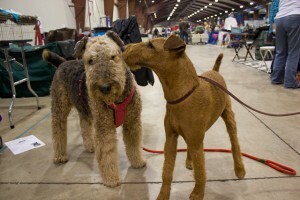 You're a very pretty Airedale! Please plan to attend the third annual Friends of Airedales dinner to be held next year during the Tradex show. 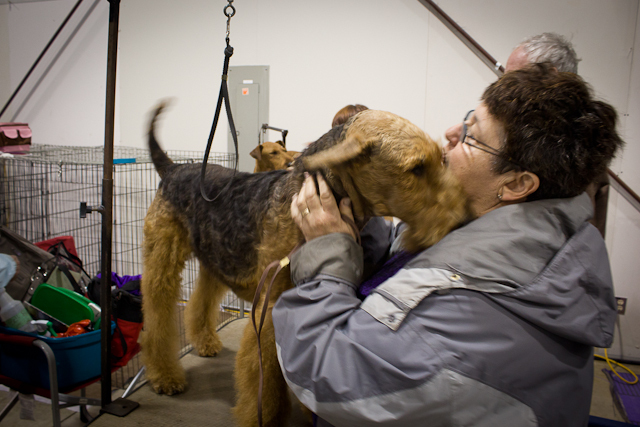 Rescuers, breeders, Airedale owners and everyone who loves the breed will be very welcome. 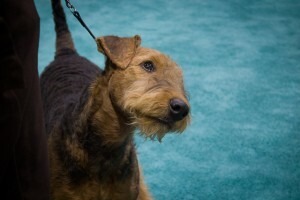 Many thanks to Elaine Hu for providing the photographs used in this posting. 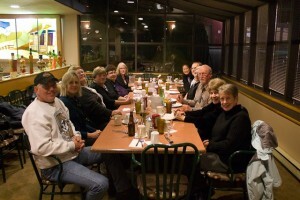 I would love to know the next time you guys are meeting. Thanks.